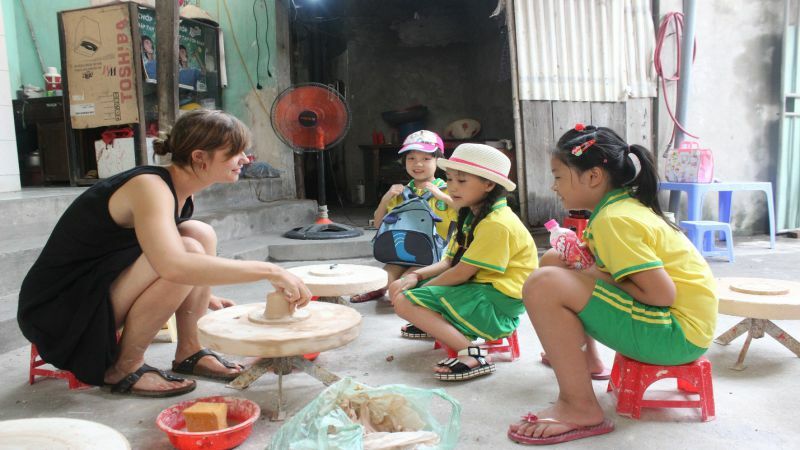 Bat Trang ceramic village is situated along the Red River in Gia Lam District, Hanoi suburb. Bat Trang is defined as “A Big Yard” which is a specialization area. 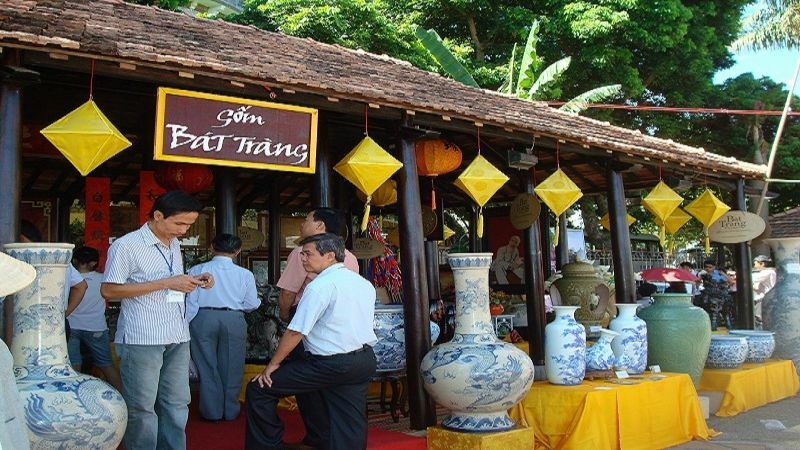 This name is first appeared under Le Dynasty, which is the combination between 5 famous pottery families at Bo Bat village and Nguyen family in Minh Trang. These are Tran, Vuong, Nguyen, Le, Pham. They held a meeting and decided to take a number of artists, potters and relatives to migrate towards Thang Long Citadel with the purpose is finding a startup land. They stopped at the 72 white mound at Ming Trang village. If you are living in a villa for rent in Vinhomes Riverside Long Bien. This place is one of the best place you must come to visit. 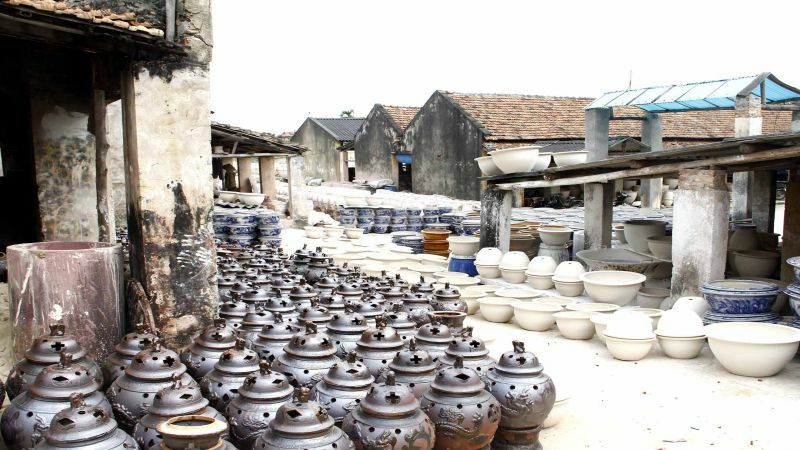 As we know today Bat Trang Ceramic village makes a lot of ceramic products with different capabilities: living supplies, worship items, art ceramics, ect. These families still keep experiences of their previous generation, so their products are unique and sophisticated feature. Ceramic products are widely-known, exported to many parts of the world. The following articles will share reality travel experiences in Bat Trang Village, and it is very useful for you to plan your outing trips Around Your Hanoi. How to get to Bat Trang ceramic village? Bus: It may be the cheapest and most convenient vihicle. From any bus stop aroud Ha Noi, you go to Long Bien transit station, then take the bus no. 47 to Bat Trang. Just get in the bus and wait until you arrive this village. Motobikes or other personal vihicle: you can go across Chuong Duong bridge, Vinh Tuy bridge or Thanh Tri bridge, turn right, then drive along Red River dike until you see Bat Trang ceramic village sign. It is very easy to get there. 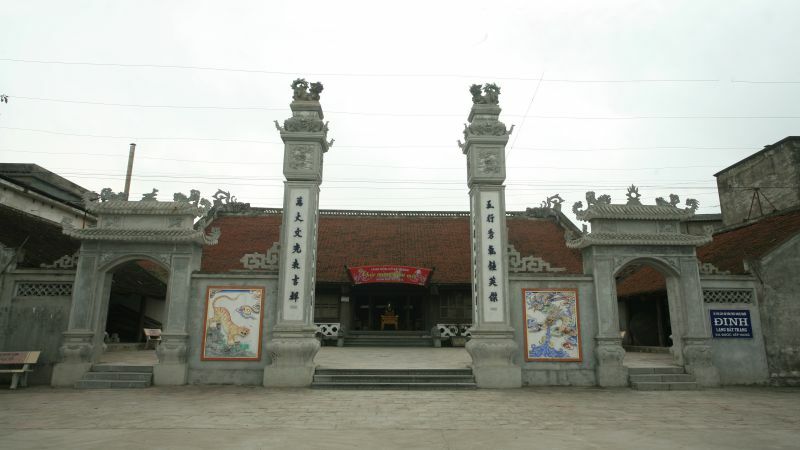 River way: there are Red River tours passing over Bat Trang ceramic village and Chu Dong Tu Temple every weekend. What to eat in Bat Trang? There are many restaurants near Ceramic market, you can taste Bun Cha (grilled pork noodle) which is very delicious, and several dishes as Banh Te (fragrant rice cake), Banh San (cassava cake). Or some recommendation of best foods in Hanoi you must try. If you go to Bat Trang by bus, you will get off the bus at the beginning of the village, then walk along ceramic stores, and see Ceramic Market area. If you get by motobike, you will immediately visit Ceramic Market, then you can mound clay and pottery at ceramic molding service houses. While you wait for your product drying after moulding, you can visit around the village and market. Besides, you can go around by buffalo cart with the price is about 200,000 dong per cart for 10 people. Foreign tourists likes this kind of vehicle. Many families give ceramic molding service. You can play and learn the way and process to make pottery. How to play is very easy: you are given one big moisture clay and one turntable, you put the clay into the center of the turntable and mould the clay by your way. Most of people make the round cup, bowls and daily utensils. If you're more skillful, you can make the animal shapes. After finishing molding, you can visit around or have lunch during waiting about 30 minutes for drying your products. The next step is painting and decorating them. And finally, the pottery makers will help you polish outside to keep the product more perdurable. 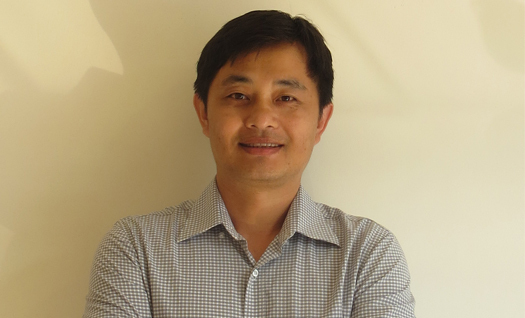 Each product costs around 30,000VND - 50,000VND. There are many kinds of items sold at Bat Trang market, such as high-quality dishes, decoration fine arts, worshiping items, souvernirs and daily household items, etc... If you want to own those products, you should buy at this market because the price is cheaper than you buy from outside. Along the village path, there are many families making ceramic. You can visit and ask more information about making ceramic process, history or you can simply see the way they make products. The temple is situated near river quay (Red River), where tourists get off the boat and walk into the village. When you stand at the market, you can ask the locals how to go to the village temple. This is a playgroud for children and pupils at weekend before opening. Recent years, however, visitors rarely arrive here because of the degradation of infrastructure and service. If you have a big group and need a place where serves fresh and decent lunch meal, you can contact to order. This is a large restaurant where has a nice scenery to welcome guests. Van Van house was built at the end of Bat Trang village, with the roof covered by green tree. This house is the place where exhibits more than 400 ancient pottery items from 15th century to 19th century. 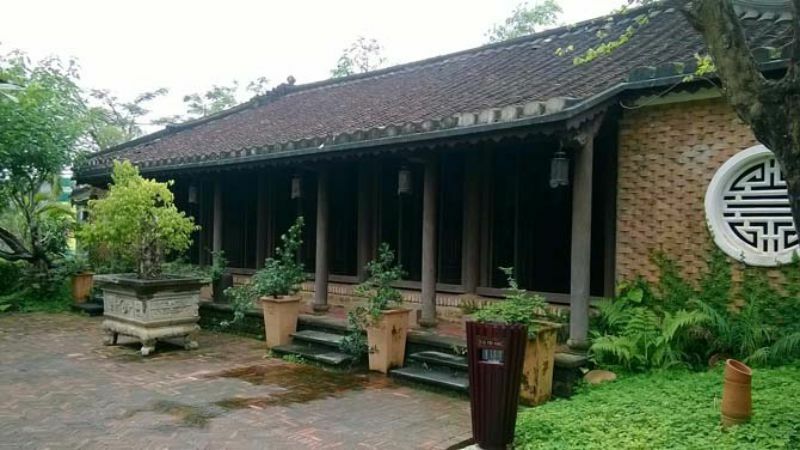 Van Van house was built in 2002 by Mr. Tran Ngoc Lam, who is a member of UNESCO Center for Conservation Research Vietnam antiques. “Van Van means the convergence of beautiful clouds. The products of pottery villages, especially Bat Trang ceramic village are preserved here. For more destination must visit during stay in Hanoi, please discovery by click here.